If there’s anything that can send your child’s sleep off the rails, if there’s an arch-enemy for sleep training, it is, without a doubt, the dreaded condition of overtiredness. Kids, as with all people, have a natural rhythm when it comes to sleep. Our bodies secrete hormones to keep us up and running during the day, and different ones to help us rest at night. They’re dependant on a variety of factors, but timing is the most prevalent. So the best way to prevent this situation is to get baby to sleep before they get past that window of opportunity. 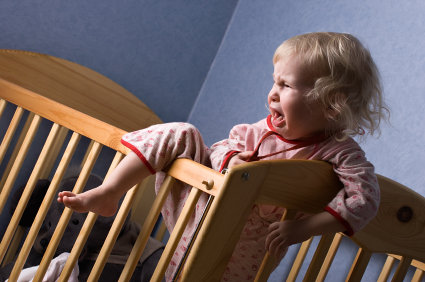 But babies, especially newborns, are a little bit cryptic when it comes to signalling when they’re ready for bed. However, if you know what to look for, it can work wonders in assessing the right time to put baby down. They’ll be able to stay awake for longer stretches as they get older, but even toddlers should only be awake for around an hour and a half to two hours at a time, so stay aware of the schedule and error on the side of more sleep, not less.